What is a twin flame? How is it different from a soulmate relationship? Have you connected with your twin flame love? Read on to find out! So, what exactly is a twin flame? 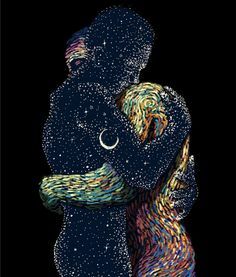 A twin flame is a replica of yourself. It's a breathtaking and gut-wrenching type of love. They'll whisk you off to new places within yourself that you didn't know existed. It's almost as if they know you better than you do. They are your safe place and your biggest fear all rolled into one. Your twin flame lover is both your greatest ally and greatest enemy. 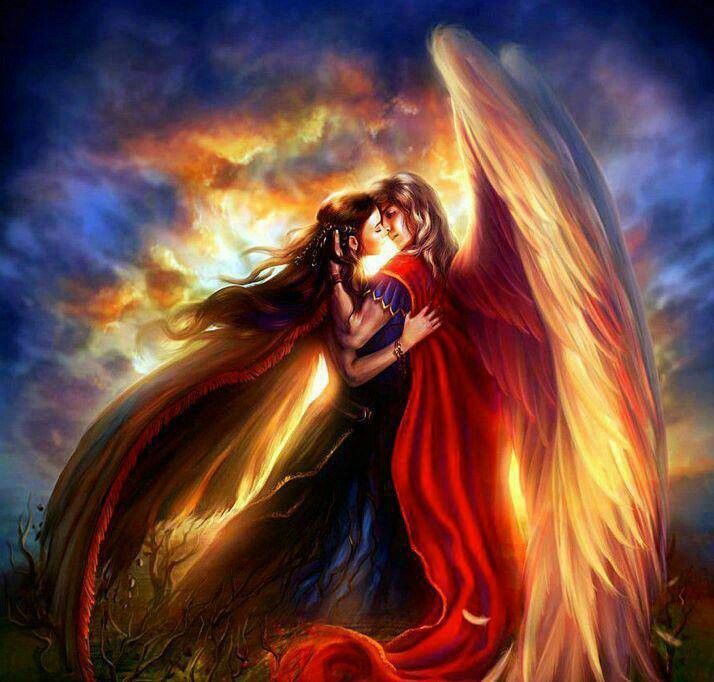 A twin flame relationship awakens your life in a whole new way. You see things from a different point of view and you find yourself doing things that you would normally be fearful of. You feel extremely emotionally vulnerable around them, which may get bothersome after a while, but it is a way to heal your repressed emotions through their presence and love. Unfortunately, twin flame relationships, unlike soulmates, don't normally last. Sometimes, they are in an intense war, back and forth with each other. This is usually because one of them isn't ready for the intense rush. Other times, the love simply fizzles out and their relationship dies. Luckily, you are always pulled back to them in one way or another. If you believe in reincarnation, this analogy may help you: picture yourself in another time, long before you were born. Now, picture meeting someone that you share an intense, almost telepathic relationship with. Picture meeting someone and having that same feeling all over again. The way that twin flames interact is like two people who knew each other in a past life. Knowing that you are in connection with your twin flame love is one of the most eye-opening recognitions you will ever face. It is an earth-shattering connection for both people involved. All in all, twin flame love is extraordinary. Being in a twin flame relationship is hard work, yet so natural. 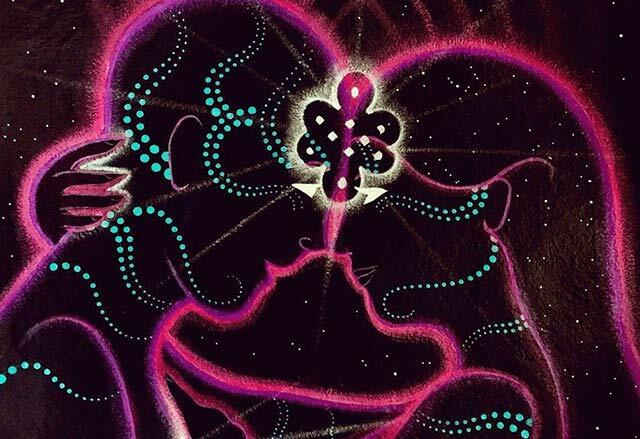 Here are 20 signs that you are in love and have a divine connection with your twin flame. 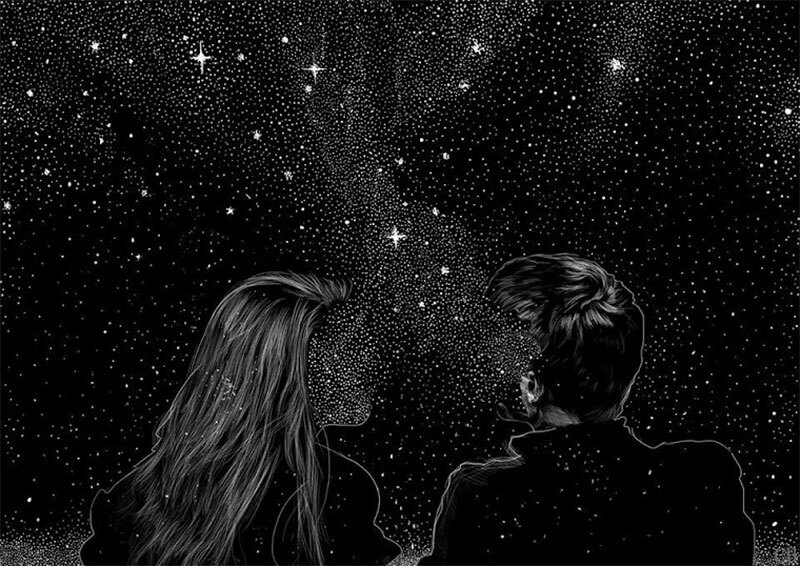 You feel as though you could travel the universe with your twin flame. From the moment you met, you felt an immense connection with this person. You feel like as long as you have this person by your side, you can do anything. This is similar to having met your soulmate. However, soulmates feel more like you've grown up together. You are still learning about them. With a twin flame lover, it is as if you already know them. You know their fears and their dreams just as well as you know your own. This is a divine love connection that you will only find once in your life. Twin flame relationships are intense. Therefore, they do not have a very high success rate. Having a soulmate is also intense, but it feels as though you were meant to be. It is everlasting. With a twin flame, however, you are the same, yet you are different. You seem to have so much in common that it's astounding, but it presents itself in different situations. Let's say that you are nitpicky about keeping a to-do list, but you are okay with 'going with the flow' during events and outings. On the other hand, your twin flame love may have a thing about events and situations going exactly as planned but doesn't worry about keeping a daily to-do list. This shows a mirror-image of you, yet a difference between the two of you. If you harness it, you can have a very successful relationship where one of you plans for one thing and the other makes sure that event goes as planned. If you see this similarity as more of a difference, it could potentially become an annoying factor that you don't understand, thus leading your relationship to failure. Your twin flame love is a mirror-image of YOU in some way, shape, or form, in everything that they do. It sometimes takes work to find the similarities, but if you embrace them, you could have a long, nurturing, and healthy relationship in love. This can present itself as a challenge at times. Your soulmate will normally be very careful in the way that they present things to you, so as to not hurt your feelings or come across as harsh. Your twin flame love, however, doesn't seem to be worried about these things. Twin flame loves are blunt with one another, no matter how blunt of a person you are by nature or with anyone else you come in contact with. That's just their way they show their love; you're so comfortable with one another that you can say anything. If there's a problem going on in your life, your twin flame love will present it to you with a whole new perspective for you to think about. If it was anyone else, you may not even listen or just brush their off advice. But you are more likely to take it into consideration when talking to your twin flame. And, there's a higher chance that you'll put their advice into action than if it was anyone else (even your own parents, sometimes!). You gain recognition of yourself from your twin flame. They mirror you: your hopes, dreams, inspirations, fears, flaws, loves, hates, and everything else. For most people, this is a hard recognition to handle. But, if you use that recognition to your advantage, your twin flame love can work alongside you and help you to become the best person that you can be. Being in a twin flame relationship is like living in a whole new world. You see things differently. You understand things differently. Being with your twin flame isn't just supportive, it's uplifting. Your twin flame love presses you to understand more in a different light. This happens so quickly that you may not see it at first. But, after a few short months of being with your twin flame love, you will see yourself thinking before you speak, rather than just reacting like how you used to. You may find yourself perceiving things and situations differently from before. If you've met your twin flame early on, you may have a hard time holding on to the reigns. Your twin flame relationship is the most intense, mature relationship you've ever experienced. They test your abilities and push you to be your best self. If you let it, your fiery love can settle into a comfortable, serious, and adult relationship very quickly. You will find you and your twin flame love conversing about things like careers, work, taxes, etc., that you wouldn't normally talk about with anyone else. Yet it is still childish, no matter how old you are. That 'flame' never goes away. That spark. You can laugh as easily as you can discuss the existence of life outside of the solar system. You can go from talking about wanting to start your own business, to how hilarious it was when Bugs Bunny dressed up like a woman to lead Elmer Fudd off his trail. The love between you guys is just that good. Your soulmate will make you feel comfortable expressing your emotions, but will never push it. Conversely, your twin flame love will push you to face your emotions head on and deal with them. Your twin flame is there to heal old wounds and your inner self, raising you up to your own personal standards of self-worth. 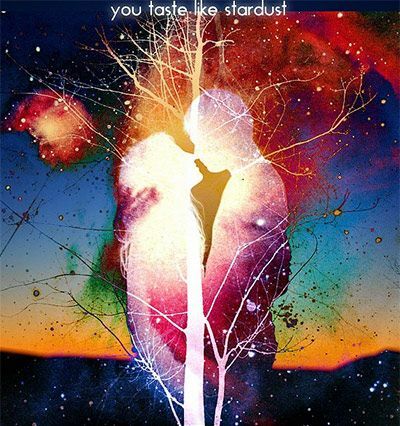 Your twin flame will teach you to be the best you that you can be. Sometimes, it feels like they're pushing too hard, which can cause problems. But, sometimes, change is hard and we need a push to get where we want to be. The recognition that they are you and you are them is a hard one to grasp. You can either let it throw your being offbalance, or embrace it and allow that recognition to become your greatest ally in the journey to becoming yourself. Your twin flame relationship is solid, yet rocky. You may get into arguments a lot and have a hard time with how blunt your love can be. You are afraid of how fast things move, and wonder if this is truly the love you want for your life. It is hard to see yourself through someone else's eyes, but it is also inspiring. If there is something you see that you don't like, your twin flame love will work with you to fix it. And, since they are your mirror-image, they will work on their own side along with you so you don't feel so alone. Your twin flame is more than a love interest or your partner. They are the first person that you go to with a problem or exciting news. They are your best friend and confidant. At times, though this can get aggravating, they are like a guiding figure in your life. Not like a parent, but they don't hold back when they see you going down a bad path and will point out when they see you procrastinating. As part of trying to push you to be the best you that you can be, they may be persistent on about things that they know you really want to do and will suggest ways to improve. For example, if you want to play an instrument, they will have no problems helping you to obtain one. But, they will also constantly ask you how often you've practiced and want to hear you play. Your happiness is their happiness, and they know you will be happy with your hard work when it's all said and done, regardless of how annoyed you were when they were grilling you about practicing. One of you is practical in nature, meaning that you or your twin flame sees things from a more logical and scientific standpoint. You are constantly wanting to learn new things and gain new information. The other is more spiritual and emotional in nature, meaning that they harness the energies around them and react with emotion, rather than logic. They tend to be more of the 'lover' side of the twin flame unit. Together, you show each other your points of view on different morals, topics, philosophies, and so forth. Part of the twin flame relationship is to learn new ways of seeing things. The divine connection that joins you two is one of both complete oneness and individuality. Your connection symbolizes that one cannot be without the other while being a completely separate entity at the same time. It's a hard connection to wrap your mind around. But, when you do, there is nothing better than realizing that you are in a true, divine connection with your twin flame love. Your soulmate's presence can calm you as well. But, with your twin flame, it is so much more. When you are facing a difficult problem and your twin flame shows up, you instantly feel more calm and confident, ready to take the problem head-on. Even thinking about your twin flame love is enough to calm you enough during difficult situations. Say you are trying to study for a test and you are getting overwhelmed by all of the information that you need to research. Your twin flame may come and sit with you and you will feel infinitely calmer. Their presence gives you strength as you feel their love. There are many different ways to communicate with your twin flame love; two are mentioned in this article. One of those ways is body language. Since you understand your twin flame in a way that no one else can, you understand the way that their body moves during different emotions and situations, thus giving you the tools to help them without them having to ask. Let's say you have a big meeting coming up. Now, you may not even know this, but your twin flame can actually see how tense your shoulders are and how you keep swaying from side to side on your feet, alerting them to your anxiety. You may not even realize that you're doing it, but your twin flame understands your body language. That's how deep your love goes. Your twin flame will know that you are anxious and that they need to assist you in calming your nerves in only a way that they can. Your twin flame relationship exists to transform you to be the best you that you can be. It pushes you to work through personal obstacles that are holding you back (procrastination, fear, anxiety, social awkwardness) and teaches you to be confident and successful. A twin flame gives you new perspectives and solutions to problems that you never thought about and opens your mind to new things. Your twin flame love gets you 'outside the box' of your own mind and creates inspiration in your life. Another unorthodox way that you communicate with your twin flame is something like ESP. I'm not saying you can actually read their mind, but it's very close. You know what your twin flame love is going to say before they say it. You know how to communicate with them with just a look so as not to say anything out loud. And you can almost tell what your twin flame is thinking. Sometimes, you may even be able to 'sense' that they are dealing with something even when you aren't physically around them. This is another thing that causes fear. Your twin flame relationship almost feels as if it's 'too good to be true'. Don't waste time wondering when something is going to happen; it won't. The relationship will change over time, become more stable and comfortable, but the fairy-tale feeling won't dissipate. That is just how your relationship was meant to work. 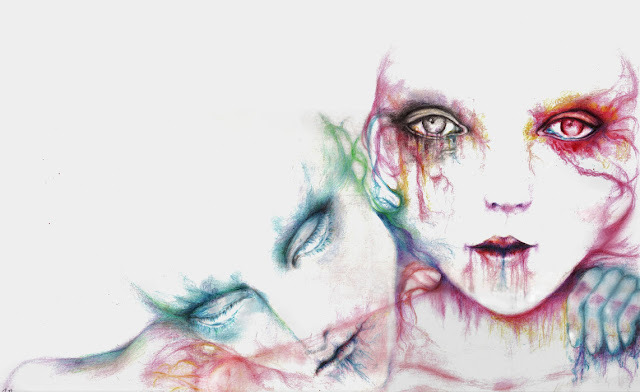 Sometimes, it feels like no one can understand us, or what we're trying to say. But, no matter how nonsensical you may feel about a particular emotion or something you're trying to say, your twin flame will understand completely. Your twin flame love is there to understand you and help you. Never be afraid that your twin flame will not understand what you are trying to say or what you are feeling. They will understand, and they will help you through it because of love. When you have a problem that you don't understand or feel a certain way, your twin flame will not just understand, but they will break it down for you. Sometimes, we don't understand why we feel the way that we do or how to go about a problem. That is where your twin flame comes in. Your twin flame is great at understanding you in every way, including breaking down your mental processes. They need to ask only a few questions to figure out what exactly is bothering you and help you fix the problem. 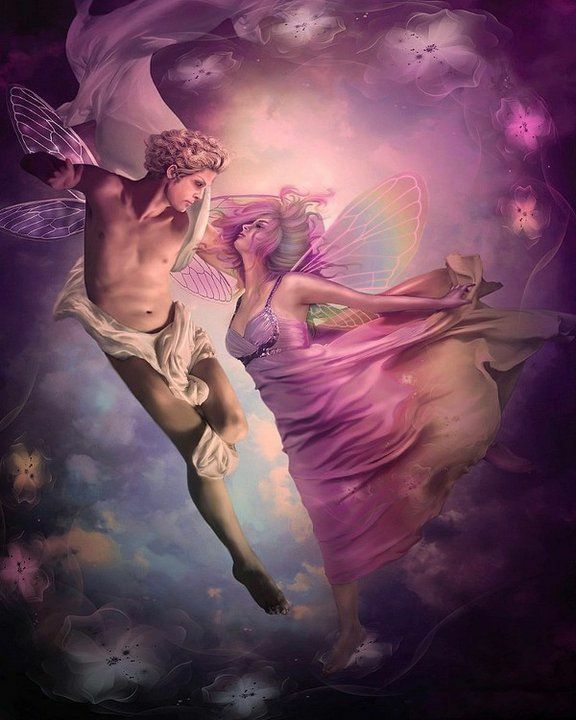 In twin flame relationships, it is common for one of you to want to run. Such an all-consuming and overwhelming feeling of love for someone is scary. Sometimes, one of you runs because you were not ready or have not had enough life experience to begin a twin flame relationship. Twin flames normally find themselves in on-again, off-again relationships until they decide one of two things: the relationship has either served its purpose or there is a type of 'surrender'. 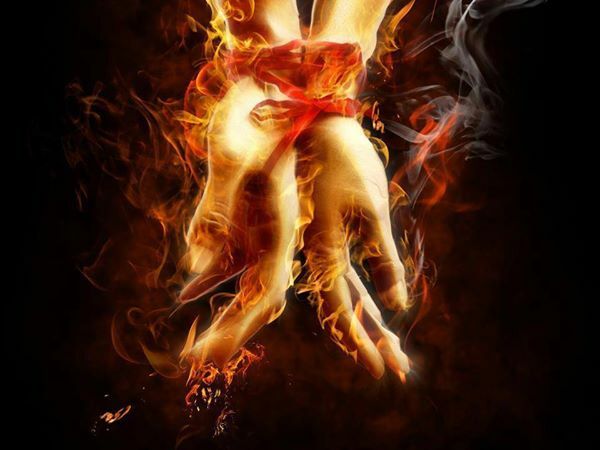 When twin flames enter a relationship after being on-off, it almost feels like surrender. When you finally decide that you want to spend your life with this person, it is an amazing thing. You feel as though a weight has been lifted off of your shoulders and you can finally breathe easy. 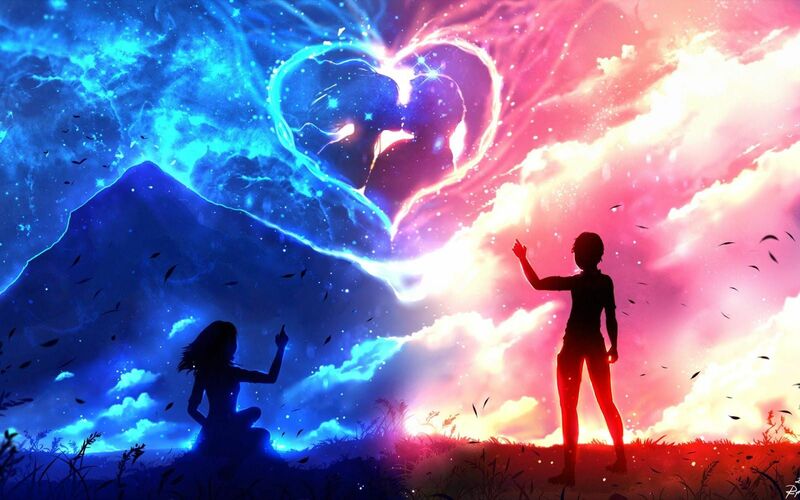 Surrendering to your twin flame's love is not like surrendering to battle, even though it feels as though you've been waging war together, being on-and-off. It's a calm and serene surrender. You feel safe and know that your relationship can take on anything. Your twin flame gives you energy. 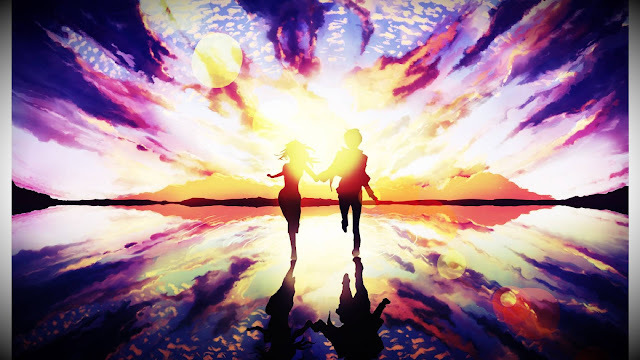 When you connect with your twin flame, you feel an immense burst of energy in your being, as if you can be, do or accomplish anything. 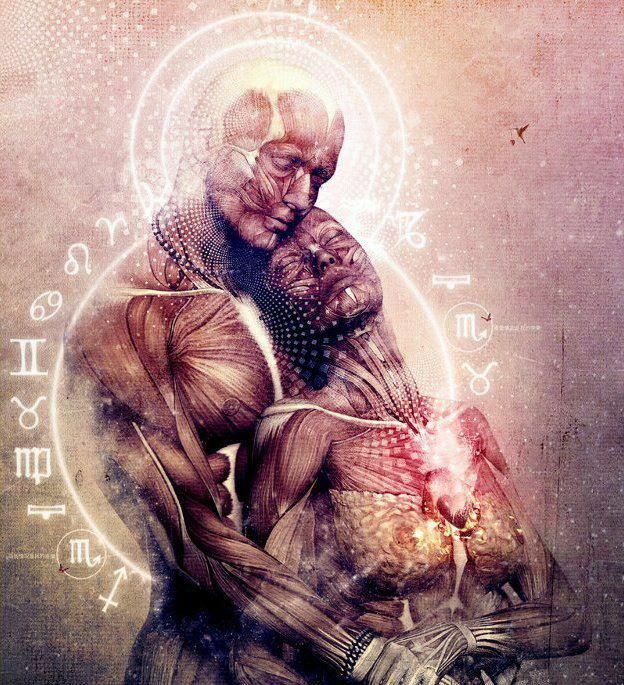 The more time you spend with your twin flame, the more energized you feel. This isn't an energy that could help you run a 5k. This is more of an 'aura' energy. Their presence and love make you feel like a whole new person, like you can conquer anything you set their mind to. It's an awakening. It's a divine connection between the two of you that sends their energy to you and vice versa. It is an individual energy and connection that only you two share. The more time you spend with your twin flame, the more you start to feel as one. There will always be obstacles, but if you choose to fight them vehemently with one another, each time you overcome those obstacles you will also become closer to unity. This does not mean that you lose your individuality in the process. It simply means that you and your twin flame are becoming a very strong unit that works in divine harmony together.